While I love QRP and ham radio in general, I must admit that I’m not much of a DXer. I love the idea of DX, but at this point in my life, it’s hard to make time for it and, frankly, my CW skills are somewhat lacking. I owe many thanks, though, to my good friend, Vlado (N3CZ), who sat with me yesterday at his QTH and coached me through working K1N on 15 meters CW. It was a bit like learning from a Jedi Master…er, Jedi Elmer. At any rate, it felt good to see my call in the K1N log and to know that I worked a station that may not reappear for another 25 years. If you have the time and patience, you might try working K1N soon. I understand the K1N team announced earlier today that they intend to tear down their stations starting this Saturday. They will go QRT Sunday morning. 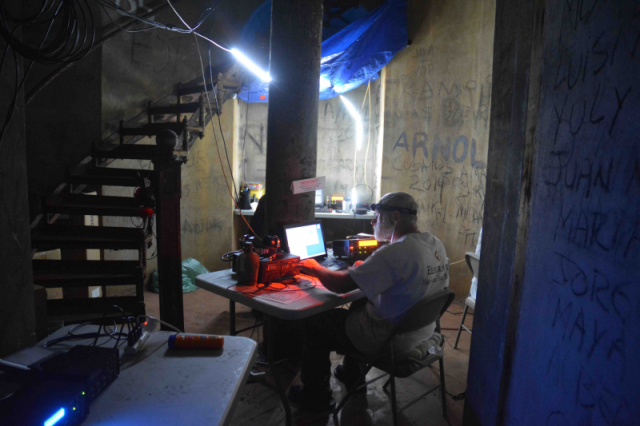 This entry was posted in Announcements, News and tagged DX, DXing, K1N K1N Navassa Island, N3CZ. Bookmark the permalink.